Danelectro DDS-1 Sitar Swami “Sitar Emulator” from 60’s series, made in china in late 90’s. I noticed one for sale for a very good price, and the Danelectro enthusiast i am, i just couldn’t let the opportunity slide. These are quite rare and special too. Forget the “Sitar Emulation” part. If you’re judging this one as a sitar emulation, you’re going to hate it. I’ve played with a real sitar and this does not have any resemblance in its sound. 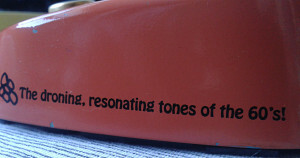 But just by listening to this box gave me an understanding of what’s going on. Opening the box up made it very clear why there’s no traced schematic available. Two sided circuit boards filled with the tiniest SMD components around. And the size issue doesn’t end there. 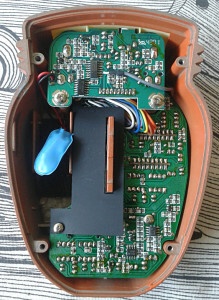 In addition to standard two board setup these enclosures normally house, there are two daughter boards soldered in 90 degree angle to the motherboard. If you are interested about this pedal, you should definitely read the Electrosmash’s article on the issue. The article doesn’t analyze the design itself, but it gives you good clue what’s goin on with its semiconductor listing. First of all, the pedal sounds like there’s low octave CMOS divider, an echo circuit and continuous set flange sweeping in the background all the time. All this with a mild upper octave cleanish fuzz that isn’t too far off from the Green Ringer. Sadly the only controls are level and EQ. This would be something very desirable with more controls (for flange speed, low octave mix and time/feedback parameters for the delay) – but then again, it’s Dano’s interpretation of a sitar emulation. It’s still sick and i can already think of things to use this with. Would have been super to see the breadboard this one was developed on. Must have been a sick mess. “The droning, resonating tones of the 60’s!”. Now that’s more than correct. I did notice one thing when tying the pedal out. The flange stays on all the time with noisy power supply. 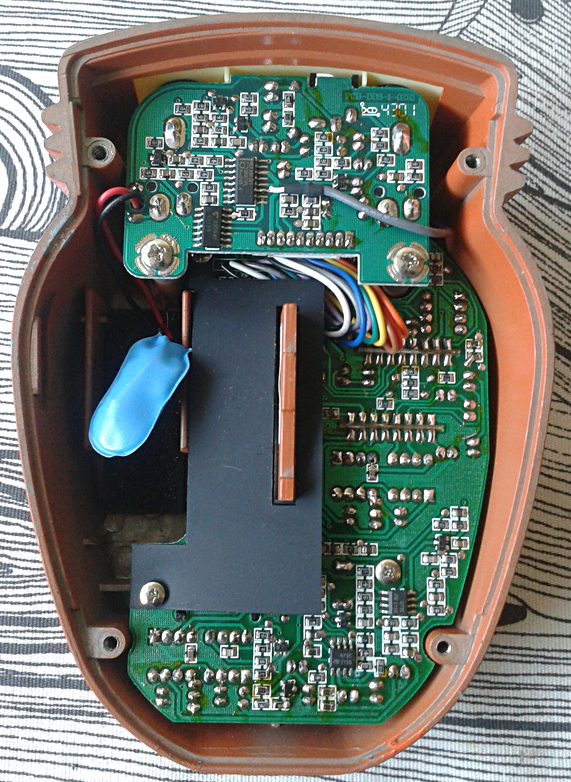 When using a slightly dead battery, the flange comes on only when strings are hit. This is probably good thing to keep in mind when trying to fit this to any sound your after. Another thing. Try placing a fuzz in front of the unit. Instant 60’s psyche lead sounds. Sick and good. 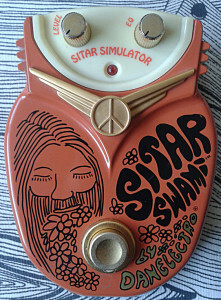 Like i said, one should not judge this as sitar emulation as it doesn’t do that well at all. To be honest, it doesn’t do that at all. It does it’s own 60’s style sick fuzzed lead sound with special spices in it. And it does that very well. That’s basically nothing you can’t achieve with Boss OC-2, any PT2399 based delay, a Green Ringer and a flanger. But you can get that same droning psychedelia with a single box with no controls. I’m loving it, but the at the same time i think it’s a monster that should not be alive. Without a further due, the award for sickest multieffect with zero controls go to Dano Sitar Swami. This entry was posted on Friday, December 13th, 2013 at 12:05	and is filed under 60's Series, Danelectro. You can follow any responses to this entry through the RSS 2.0 feed. You can leave a response, or trackback from your own site. Thanks! I’m planning to write about it, just not sure when.. It’s not your average flange. It sounds amazing when paired with a fuzz. By itself, it’s not too good. Entries (RSS) and Comments (RSS). 24 queries in 0.065 seconds.